It was a week of under the radar misfires, charming downloadable games, portable audio hardware and one mild-mannered Kotaku editor turned super villain. 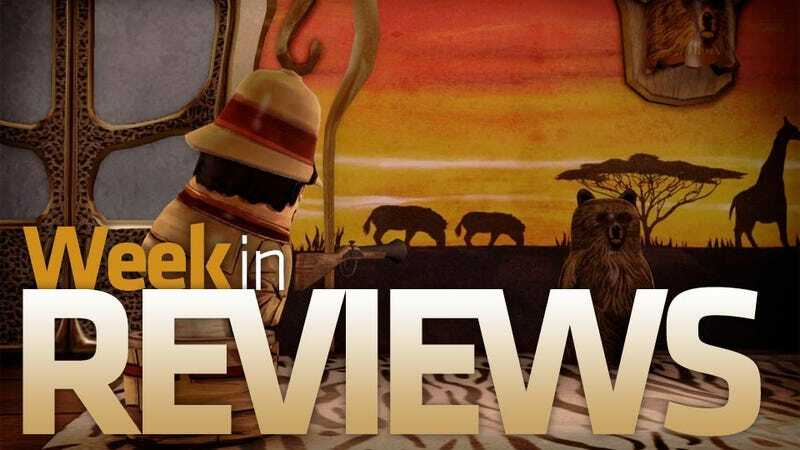 Miss any of this week's reviews? Well, they're all right here. Read our reviews of Square Enix's multiplayer mash-up Mindjack, Double Fine's quirky matryoshka adventure Stacking and Razer's portable Ferox speakers, plus check in on the latest MMO Log for DC Universe Online.